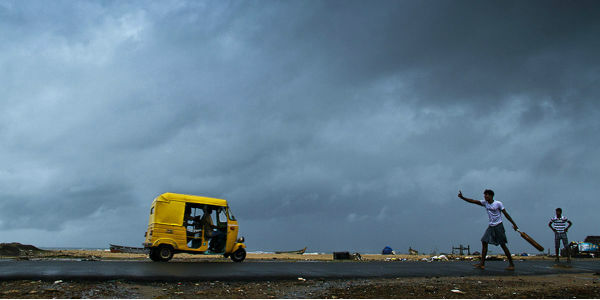 Chennai rains have finally taken a backseat, as the city witnessed dry weather on Thursday after three consecutive days of Monsoon showers. Further, we expect dry weather to persist over the state capital and nearby areas for the next 48 hours as well. With this, warm and humid has already made a comeback over Chennai, as day maximums has increased significantly. From 26.1°C on November 14, maximum temperatures settled at 33.3°C on November 16. 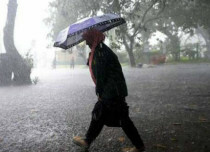 However, rains will once again make a comeback around November 19 or 20 and would continue till November 21. According to Skymet Weather, we can expect few light to moderate spells of rains during that time. 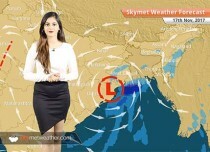 Though no major weather system is likely to develop over or around Chennai but presence of Monsoon surge over the region would strengthen the humid easterly winds. By November 22-23, weather would go dry again but isolated light rains cannot be ruled. At present, Northeast Monsoon is not active over Tamil Nadu but easterly winds from Bay of Bengal will continue to feed moisture over the coastal areas, leading to some rains. During the next 24-48 hours, day maximums will continue to settle in lowers 30s. However, as the rains will reappear over the city, mercury would drop by 2-3 degrees, paving way for comfortable weather conditions. Chennai has already surpassed its monthly average rainfall of 374.4 mm during the first few days of the month itself on account of the low pressure area that had developed over Southwest Bay of Bengal. This system had later intensified into a depression.